Billy Morrison is the Vice President and General Manager for Hilldrup’s Greenville branch, where he is responsible for the overall coordination, direction and evaluation of the branch, ensuring goals for sales, operations, safety and quality are reached. 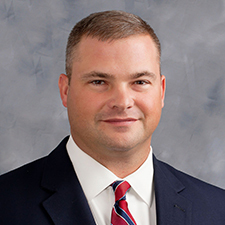 Since 2009, Billy has led the Greenville office as Vice President and General Manager. He’s spent his whole career in the industry and at Hilldrup, starting in 1998 and working as Surveyor, Dispatch Operator and Operations Manager. Billy has a bachelor’s degree in political science from Clemson University. Outside of Hilldrup, Billy enjoys spending time with family and friends, playing racquetball and spending time outdoors. He currently lives in Spartanburg, South Carolina, with his wife and two sons.